The Institute for Advanced Study at CEU (IAS CEU) is pleased to invite applications for its fellowships for the academic year 2017/18. The application deadline for all four fellowships is: October 24, 2016. Calls are open for the fellowships listed below. Applications to more than one of the programs are possible but the application process and the requirements are not always the same. IAS CEU Fellowships are highly competitive and will be awarded on the basis of scholarly excellence. The Institute for Advanced Study at Central European University (IAS CEU) has as its primary mission to support excellent scholars in their pursuit of knowledge in a multidisciplinary scholarly environment. Each year, IAS CEU invites some 20 researchers in the social sciences and humanities to spend 3 to 10 months as fellows working on their own research projects. Visiting scholars benefit from the University’s academic and technical resources and from the vibrant cultural and intellectual scene in Budapest. IAS CEU seeks to build connections among its fellows, CEU faculty, and local and regional academic institutions to facilitate high-level interdisciplinary cooperation. For further information on IAS CEU, please visit: http://ias.ceu.edu/. Deadline for submission: 15 March 2016 (6 PM). Duration: September 1st 2016 – August 31st 2017. CEFRES offers year-long fellowships at the center to 2nd year and above PhD students from France, Hungary, Poland, Slovakia, and the Czech Republic. Fellows’ research should contribute to one of CEFRES’s research areas. The amount of the fellowship is 20 000 CZK per month during 12 months. Good command of English is mandatory, command of French is appreciated. The selected PhD fellows will join CEFRES team and take part in the center’s scientific life. 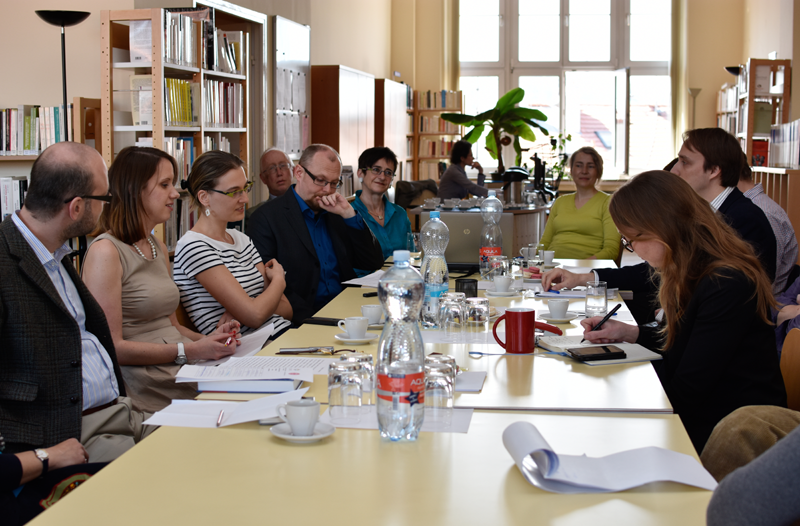 The objective of the fellowship is to support “Czech studies” in both national and territorial delimitation by means of the financing of short-term study stays of foreign researchers at the Institutes of the CAS. The fellowship is intended for young researchers (usually aged up to 35) who need to study the Czech historical, cultural, language, geographic or natural characteristics in the Czech Republic. The CEU Institute for Advanced Study (CEU IAS) is pleased to invite applications for its fellowships for the academic year 2015/16. Application deadline for all three fellowships: 26 October, 2015. Calls are open for the fellowships listed below. Applications to more than one of the programs is possible but the application process and the requirements are not the same. CEU IAS fellows typically spend 6-10 months in Budapest and pursue their own research in the intellectual community of the other fellows, the university and the lively city of Budapest. CEU IAS Fellowships are highly competitive and will be awarded on the basis of scholarly excellence. This program aims at encouraging “Czech studies” or studies concerning Czech countries. It helps financing short-term residencies in one of the various institute of the Academy of Sciences in the Czech Republic. Applicants should be young (usually under 35) foreign researchers, whose work focuses on the Czech Republic’s history, culture, languages or geography. Applications are submitted by the directors of the Academy’s Institutes, after receiving a recommendation from their Institute’s board. Every year, applications must be submitted before February 28th and August 31st.